Homecoming 2015 Greek Alumni Shuttle "Drunk bus"
Greeks grow up and get you home. Bring it with you to Homecoming. You have 24 hours from the time of purchase to print your certificate. After that, it disappears...like magic! You can use the certificate itself as proof of shuttle service participation. You can trade the certificate for a wrist band at the Tailgate event during the day. Just find me, (David Decoteau) and I'll make the trade for a tyvek (virtually indestructible) wristband that is far more convenient to use. You can use it to use the Shuttle anytime between 10:00 p.m. - 2:30 a.m. on Saturday evening. 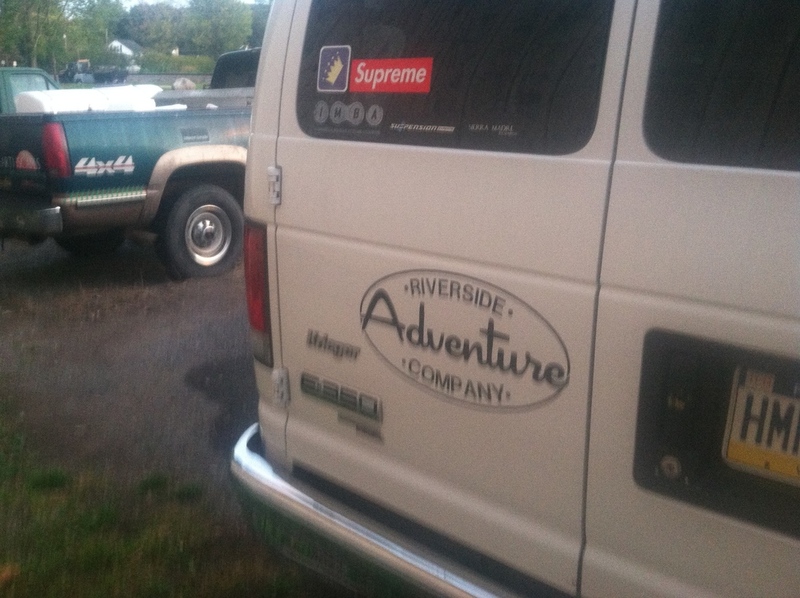 The van will call the Bloomsburg Fountain area it's "home base". This is a good place because parking is usually plentyful, and it's central to many establishment in and around town. 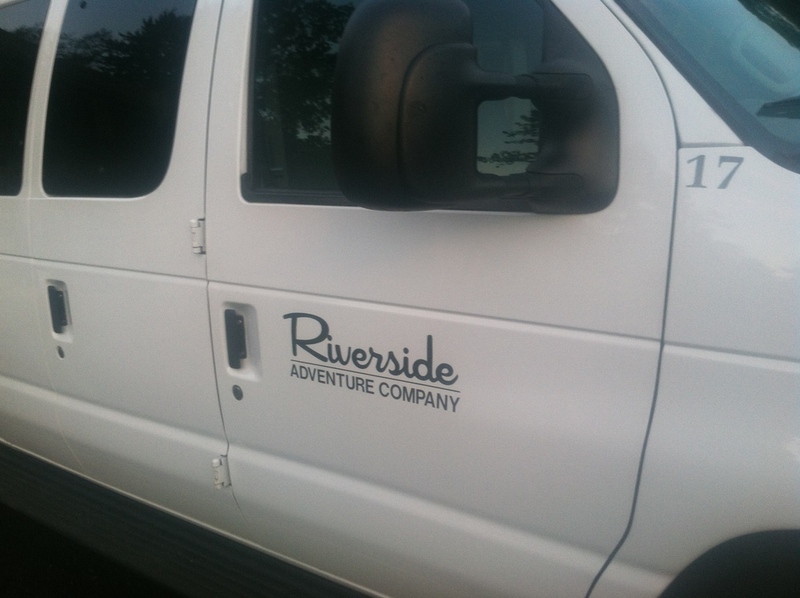 When you are ready to go back to your lodging, simply head to the fountain, and look for the Riverside Adventure Company van. below are some photos to help you. Getting around is a "buddy system" event - It works best if you do this with a friend, or better yet, multiple friends. After check-in, and when everyone is ready, pile into one car - This leaves cars at the lodging, and that is key to keeping you from driving in your stupid, drunken condition later. Park on campus near the Alumni House - there is usually a lot of parking in that area, and it's easy to access on Sunday morning. Use the shuttle on Saturday night, to get back to your lodging. Sunday morning - again you need a buddy. Get them to take you to campus to get your car. Go to breakfast Sunday morning and drink copeous amounts of coffee. This map gives you the locations of most lodging, as it relates to the fountain pick-up area.